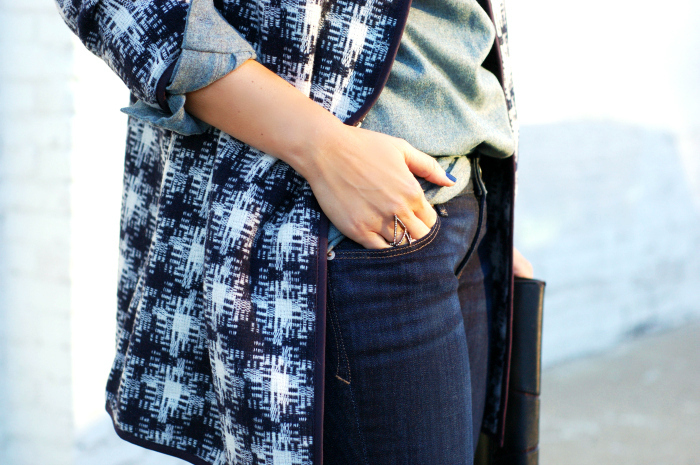 It’s confession time, my dear style mavens. For many years I avoided the color navy, because of its association with the private school uniforms I donned for so long in my adolescent and teen years. However, over time I have learned to develop an appreciation for the darker hue and even consider it to one of my favorite colors for fall. Love this outfit Miranda, just stunning! Haha, glad you learned to appreciate navy – though I completely understand the stigma. I have the same problem…too many years in private school man -_- Ugh. Hello pretty Miranda – wow it’s been quite a while! Thanks for dropping by my blog & letting me in your latest looks which are so stylish & edgy as ever!! Thanks for stopping by here! I hope all is well! This outfit is so chic, love the layering and your gorgeous shoes! You always find the best deals though!!!! 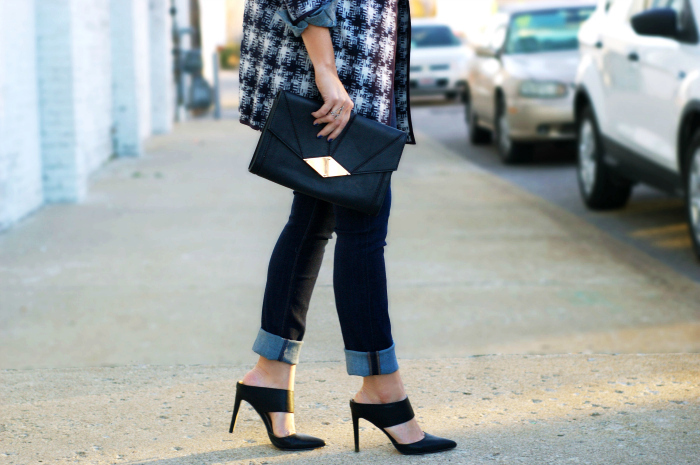 Love this jacket, and the shoe + cuffed denim combo is awesome. Great look, babe! That coat is perfect for this time of year! Love this look, awesome jacket and shoes!